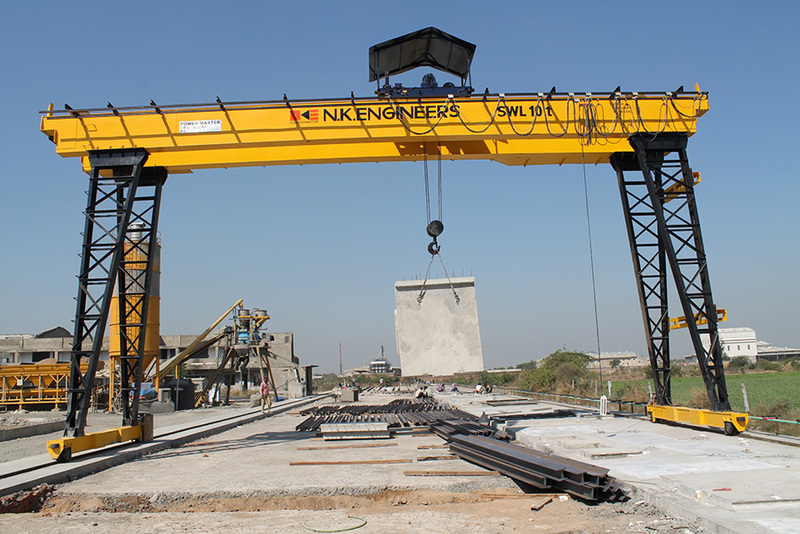 Power - Master Goliath/Gantry Cranes designed in accordance to IS: 807 & IS: 3177 are essentially the same as the regular overhead cranes except that the bridge for carrying the trolley or trolleys is rigidly supported on two or more legs running on fixed rails or other runway. 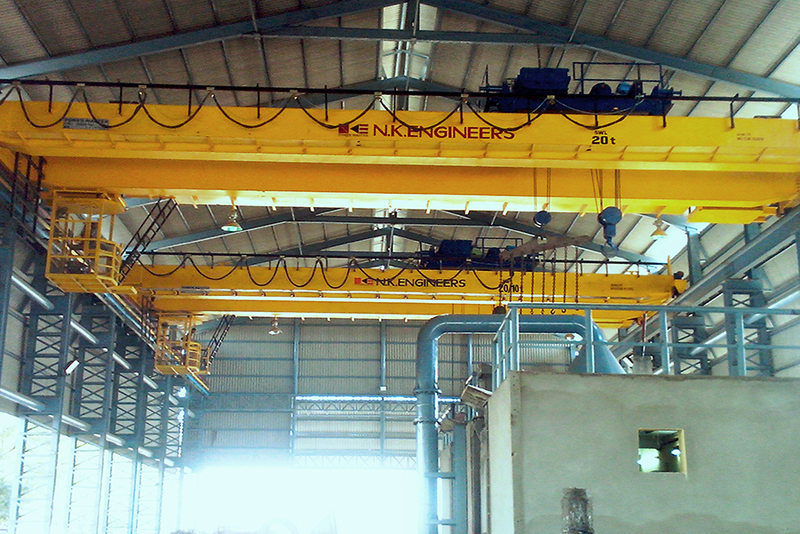 Power - Master Overhead Travelling Cranes designed & manufactured in accordance to IS: 3177 & IS: 807 are available in medium duty and heavy duty classification with below configuration. 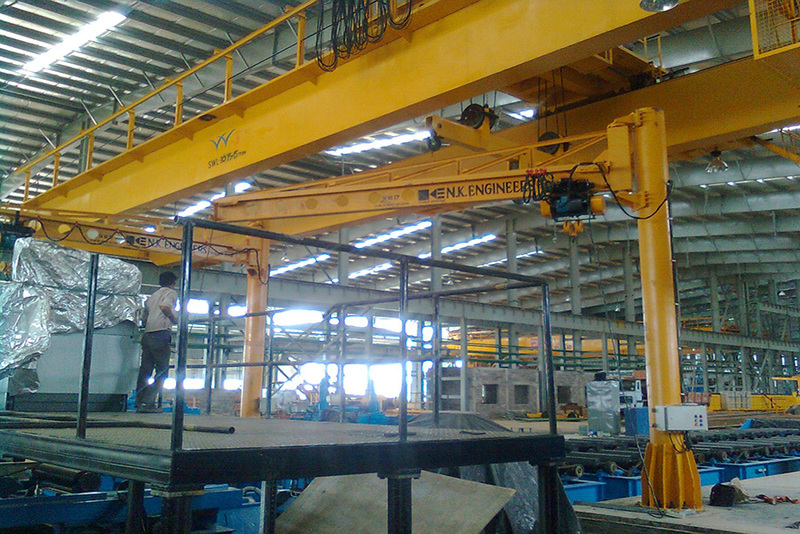 Power - Master Jib Cranes deigned & manufactured in accordance to IS: 807 & IS: 3177 are Wall mounted or Pillar type and fully floating on bearings with swivel facility up to 360°. 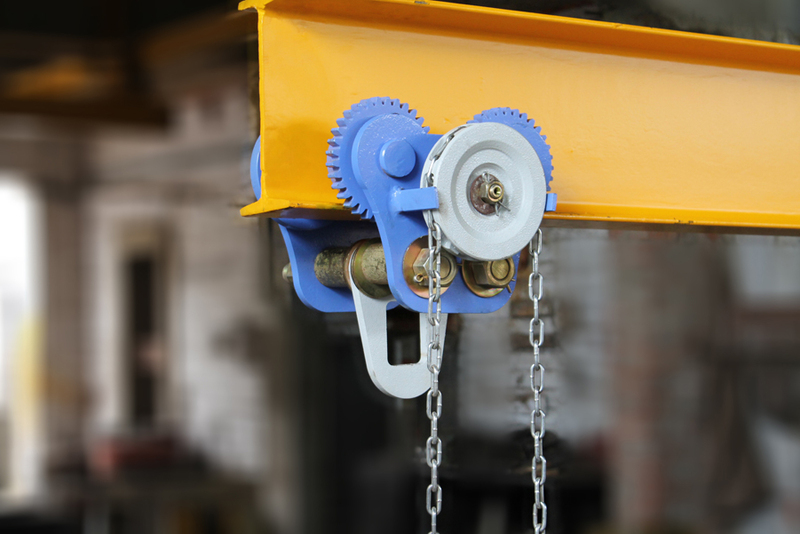 Power - Master Electric Wire Rope Hoists designed & manufactured as per IS: 3938 are compact and modular with easy in operation & maintenance. 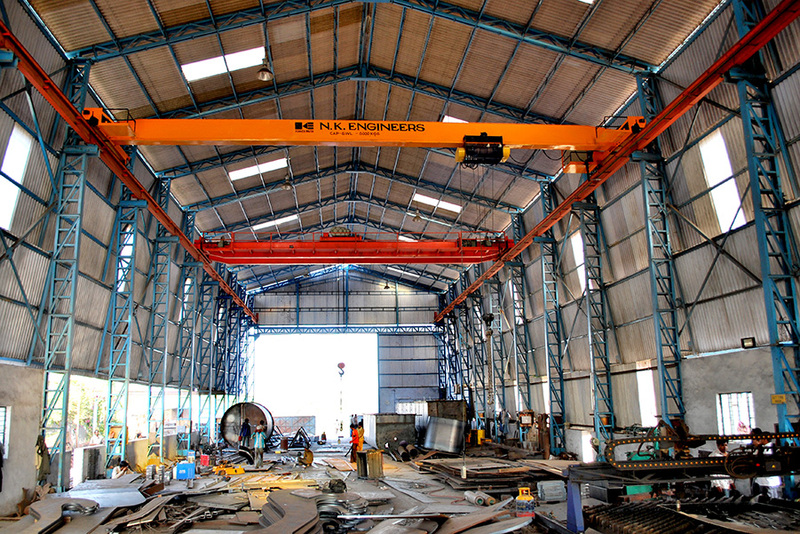 We are playing a role as one of the leaders in manufacturing, exporting, and supplying equipments like Cranes, Hoists, Chain Pulley Blocks, and Monorail Trolleys etc. that have a huge demand in market. Due to our dedicated and positive attitude, we have capably earned prestigious name among the key players of the business. 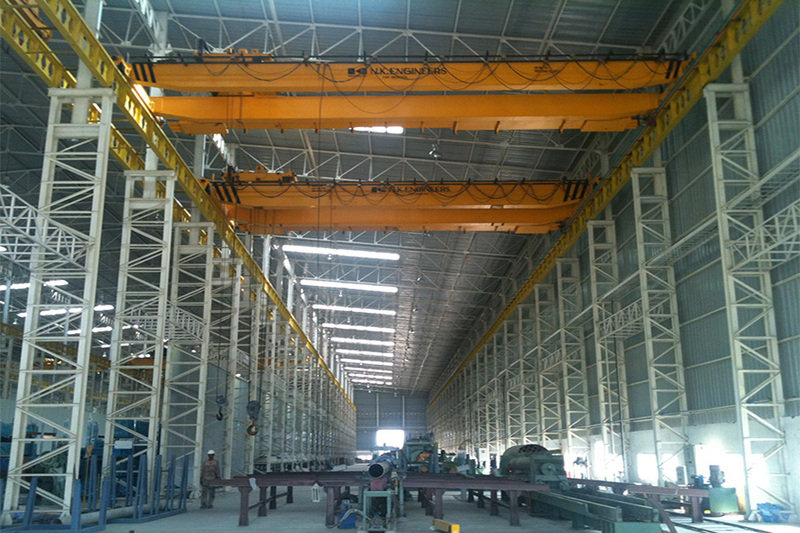 Apart from this, we avail our services annually, for maintenance of cranes and hoists. We believe in working honestly and smartly for giving a healthy competition to our competent, as we try to provide best material to our customers. 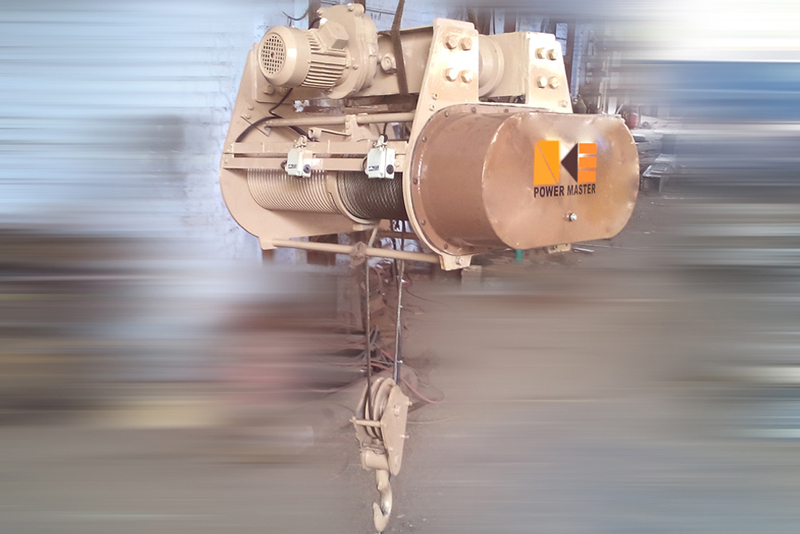 We put in our efforts in manufacturing of best quality products. 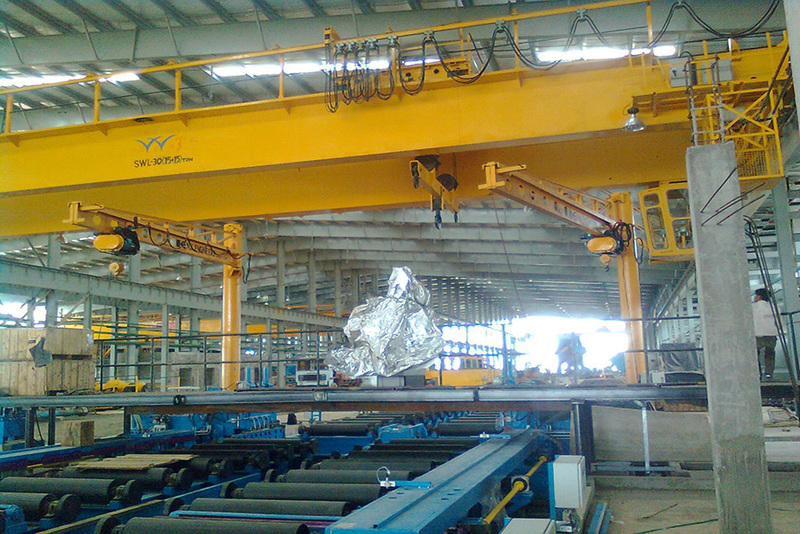 Therefore, we are highly admired in the market for our sincerity towards the customers. Our energetic team works hard to meet all the demands of our clients regarding our products and we ensure delivery on time. Copyright © 2014 N.K. Engineers. Powered By A.M.Technologies.